I think the title says it all, but I’m happy to belabor it by saying “ARE YOU KIDDING ME?! ?” Seriously?!? 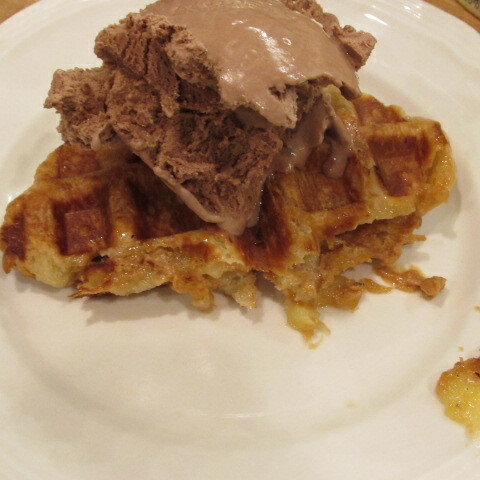 A waffle, filled with everything delicious that I love, topped with my favorite ice cream? It’s not even my birthday! In any case, I hope you enjoy this super-fast, delicious, “I-just-had-to-have-hot-dessert-topped –with-ice cream” dessert “waffle”. Preheat waffle iron. Slice croissant lengthwise, keeping one edge in tact. Spread peanut butter evenly on each side of inside of croissant. 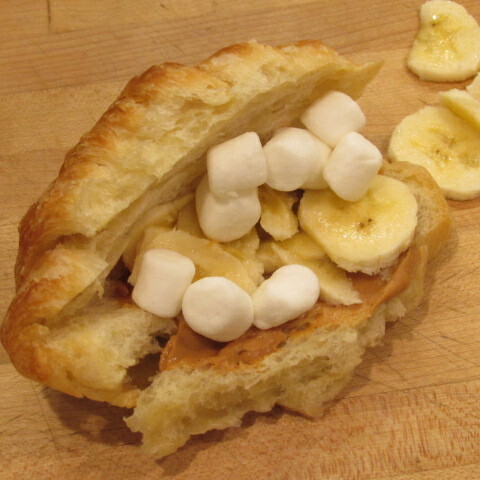 Fill with banana and marshmallow. 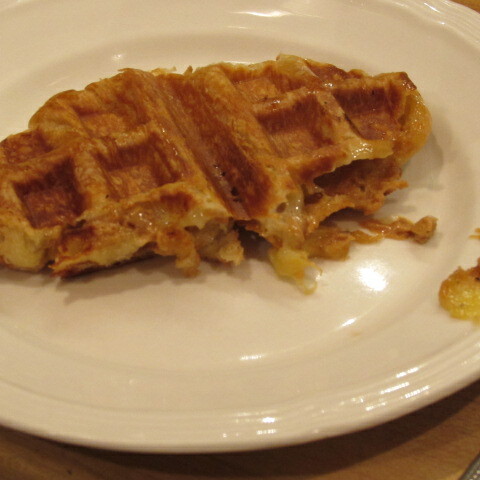 Place in waffle iron, smash and cook for around 2 minutes or until golden. Serve hot, topped with rocky road ice cream. 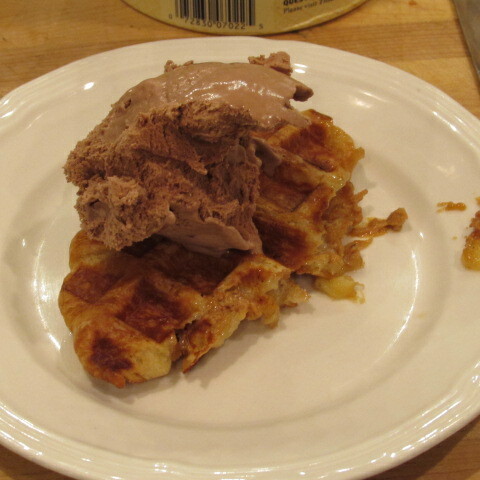 Tags: dessert waffle, easy waffle recipe, food, peanutbutter marshmallow rocky road waffle, waffle day, waffles using croissants, what to do with leftover croissants, with images. Bookmark the permalink.